Ledger Wallet devices are hardware wallets that can be used to secure your cryptocurrency. Most of us are grown in an era where wallet means a small folding case, used to hold cash and small plastic cards like debit, credit cards, etc., but since the introduction of cryptocurrency in 2009 and its enormous growth, there is a severe demand for some mechanisms to secure this digital money. Ledger Wallet S is invented to meet this demand. What is Ledger Wallet S and Why Do We Need It? 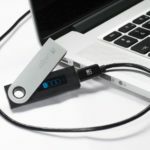 Ledger Nano S is one of the most popular hardware wallets for crypto storage. The wallet was designed to store a multitude of cryptocurrencies and have the highest security features. Ledger is highly praised by investors that want to securely hodl their digital assets, being bought by enthusiasts from over 160 countries. Ledger, the company that created this wallet, has years of experience in developing security solutions for blockchain apps and cryptos. Established in 2014, the company has offices both in San Francisco and Paris, and employs a team of 130 developers. Ledger is specialized in creating various services and products the security of cryptocurrency assets for both enterprise and individual use. The company has raised over $85 million in four rounds of investments. The user interface for Ledger Nano S is easy to use and navigate and has a very straightforward process. We will find the set-up process later below. After setup, you will be required to select a pin, after which a 24-word seed will be generated. The entire initial configuration should be done in under 5 minutes. After this, you will have to browse the many apps available and install the ones you need for your digital currencies. These apps will be responsible for helping you send or receive your coins. The apps are neatly designed so you can easily see how to send and receive transactions, make new accounts, change the display settings and other functions. A Ledger Live desktop software is also available, which can be used to generate Bitcoin addresses for fund transactions, view account details, and the exchange rate. The Ledger Nano S wallet has built-in compatibility with existing wallets, so you do not have set up all the wallets for your coins. Bitgo, MyEtherWallet, Copay, MyCelium, Electrum, are some of the online wallets that are supported by Ledger. First, you will have to configure a PIN code for the device. By pressing the two buttons on the side, you can navigate the setting up and down, and when you press both of them at once you confirm the choice. The PIN has to be at least four digits. After this, a seed phrase of 24 words will be generated. Once you have written down each word, the wallet will ask you to check 4 of them by confirming the words that it displays. After this, the message “Your Device Is Now Ready” will appear. For those that want to use the Chrome Browser, there are several apps that can be installed on the device in order to manage your cryptos. Ledger features its own Chrome apps for Bitcoin, Ethereum and Ripple. However, you will have to install the “Ledger Manager” app first, and remember that Ledger Nano S can simultaneously support five different apps. Click on the green download button next to the currency in order to select the apps you want to install from the manager. After downloading and installing the Bitcoin app, run it and enter the required PIN after which you can opt to create a Bitcoin address if you don’t already have one. You can choose a Legacy or Segwit address. As Ledger Nano S is not powered by a battery, it is automatically turned off when you plug it out from your computer or wallet. The most lauded and important aspects of Ledger are its security features. The device can be accessed by pushing two physical buttons, action which is required when confirming a payment. This means that transactions cannot be confirmed by hackers. The Ledger Nano S wallet is secured by a PIN code selected by the user upon setup. The PIN code ensures that if you lose your device, no one can access your crypto funds. If someone does get a hold of your wallet and tries to access it, the device will erase itself after three incorrect attempts. The box ships with tamper-proof tape around the packaging. If this tape appears to be altered in any way, it is likely someone tampered with your device before it arrived at you. Cryptos that are stored in online wallets can easily be targeted by hackers. However, hardware wallets store digital coins offline, which means that they have no connection to the internet whatsoever, which prevents hackers or any malware from getting to them. A 24-word phrase is generated, and this is to be used in case you want to back up your wallet if you lost it or damaged it. The wallet has an integrated “smartcard chip,” which features a secure element. These highly secure chip goes through an advanced evaluation and certification processes made by third-parties. This type of measure is almost impossible to breach, and can host applications or store data securely. These chips require an enormous amount of time and effort if they are to be hacked. Ledger Nano S can be purchased from the official Ledger website or from authorized third parties that sell the product (Amazon). Currently, the wallet is being sold at a price of around $60 US, depending on the retailer. Most customer reviews show that the Ledger Nano S has met all their expectations. Users have reported a smooth user experience and do not have any complaints about it. Ledger Nano S employs a slew of security measures to ensure the safety of crypto funds. The biggest advantage of using Ledger wallet is that, if you lose the device, you can recover your balance on another ledger wallet. All you need is that 24-word recovery phrase that you should never reveal to any other person. Another big advantage of using the Ledger wallet is that your private key will never leave the device. It always stays inside the device whether you use Ledger Nano S or other types – for example, Ledger Blue. It is great that the wallet features compatibility with a diversity of wallets and apps which can run simultaneously on the device. A big downside would be that it does come with a higher price tag and that it lacks the ability to add custom passphrases. Also, the wallet may not be suited for those that actively use and own multiple crypto wallets as the device has low storage space. As you have to download a specific app for each crypto, you will not have enough room to install all of them, so you will be required to uninstall apps when you want to use a new one. There is no denying the Ledger Nano S is a top crypto hardware wallet. If you are looking to hold cryptos for the long run, then this is the wallet for you.